The India Meteorological Department (IMD) has predicted a change in the coastal stretch where Cyclone Gaja can make landfall on November 15. On Monday, it had predicted that the cyclone will strike somewhere between Chennai and Nagapattinam. In subsequent statements, on November 13 and 14 it predicted that the forecasted track of the cyclone would take it further south between the towns of Cuddalore and Pamban. Although this is only a slight change in track, such changes need to be closely observed as they can turn into major issues and cause damages where it was not previously predicted. Just a month back cyclone Titli had changed its direction towards the north-east after making landfall and devastated towns and villages along the Odisha coast when they were least expecting it. Due to this strange motion and other factors, the IMD had even called Titli a ‘rarest of rare’ occurrence. But for Gaja, the IMD has not forecasted any unique changes as of now. “There is nothing unusual about the formation or track of the cyclone. The cyclonic system has been showing up in our models for more than a week now,” P Mukhopadhyay, senior scientist at the Indian Institute of Tropical Meteorology (IITM) Pune, told Down to Earth. Meanwhile, cyclone Gaja is going to intensify further into a super cyclone with wind speeds of up to 115 km/hr by the night of November 14, before it reduces in intensity and crosses over to land the next day. The IMD has issued a red alert for Tamil Nadu and Puducherry on November 15. There will be heavy to very heavy rainfall in the region with extremely heavy downpour in some places. The weather agency has also issued an orange alert for the region along with Kerala on November 16. There is also a storm surge warning of as high as one metre which “could inundate low lying areas of Nagapattinam, Thanjavur, Pudukkottai and Ramanathapuram districts of Tamil Nadu and Karaikal district of Puducherry at the time of landfall”. 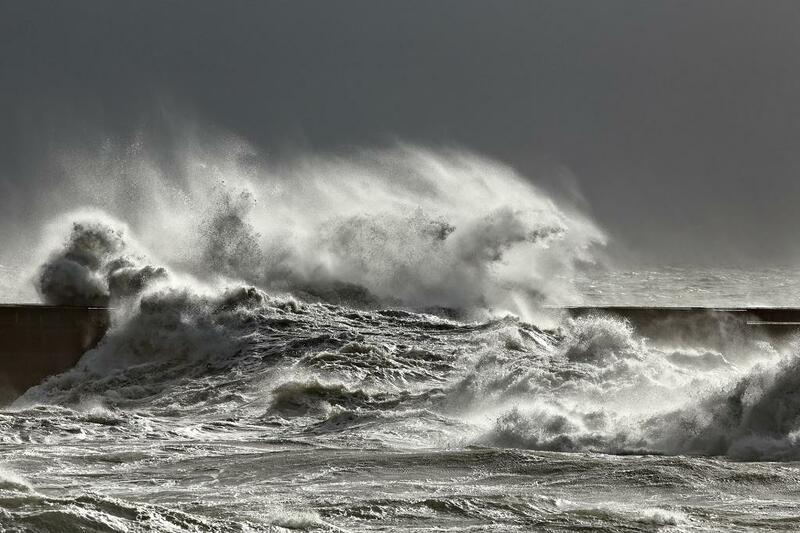 The authorities have been advised to suspend all fishing operations along the coasts of Tamil Nadu, Puducherry and south Andhra Pradesh because of rough sea conditions. The currently forecasted track of the cyclone can mean damages in districts of Cuddalore, Nagapattinam, Tiruvarur, Thanjavur, Pudukkottai and Ramanathapuram districts of Tamil Nadu and Karaikal district of Puducherry. There will be large scale damage to “thatched huts/houses, roof tops may blow off and unattached metal sheets may fly. Power and communication lines will be affected in the region and so will be roads. There will be damage to paddy crops, banana, papaya trees and orchards” the IMD said in its press release. Cyclone Titli: Can Odisha protect vulnerable tribal districts?